Emoji flags for Wales, Scotland and England could be available on tablets and smartphones by the summer. Unicode, the authority on computer text and characters, has already approved adding the three flags to the next release of emojis in June. Technology companies such as Apple, Google, Microsoft and Facebook will be able to introduce the flags to their software from July. A UK flag is already available on smartphones and other devices. Unicode develops the mechanism for making the flags available, but manufacturers have to add the new emojis to their keyboards. Emoji flags already available include those for Ascension Island, St Barthelemy, Curacao, Diego Garcia and Djibouti. 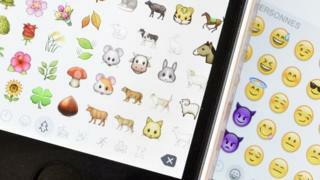 The campaign for a new range of emoji flags was started by Jeremy Burge of Emojipedia and BBC Wales' social media lead Owen Williams in March 2016.